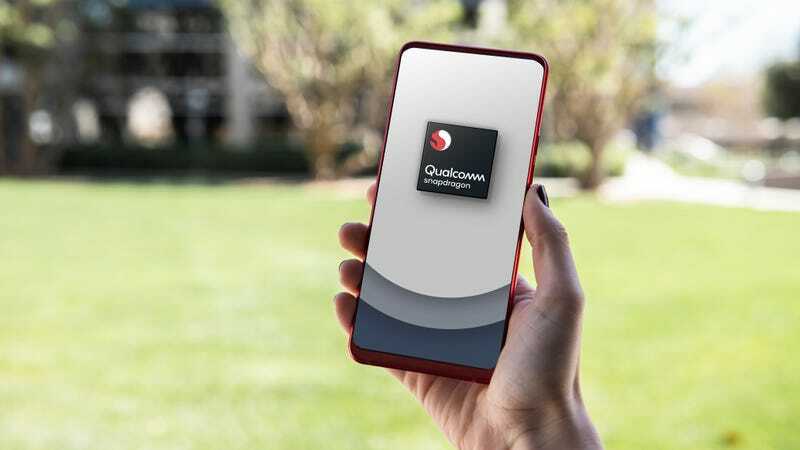 But on the new Snapdragon 730G mobile processor (the G stands for gaming of course), Qualcomm included a feature literally called the Jank Reducer that promises to prevent up to 90 percent of typical performance related lag. (Just keep in mind, any hiccups caused by a weak internet connection will still be present). Looking at the bigger picture, the Snapdragon 730G is just one of Qualcomm’s three new mobile processors consisting of the Snapdragon 665, 730, and 730G that aim to provide future mid-range and high-end devices with upgraded guts. However, because all three chips incorporate some trickle-down tech derived from Qualcomm’s flagship chip, the Snapdragon 855, there won’t be any upgrades for super premium handsets like the Galaxy S10 and others just quite yet. In addition to the Jank Reducer, Qualcomm also claims that the 730G boasts 35 percent better CPU performance compared the current Snapdragon 710 chips, and 15 percent better overall performance compared to the standard Snapdragon 730 thanks to the 730G’s increased clockspeed. That’s a somewhat significant difference considering both the Snapdragon 730 and 730G are based on the same eight-core Kryo 470 CPU and Adreno 618 GPU. Other potential gaming features offered by the 730G include support for HDR colors while gaming that should let developers create graphics with richer, more detailed colors, and support for Wi-Fi 6 with 802.11ax-ready networking for better wireless connectivity. Meanwhile, the Snapdragon 730 is the vanilla version of the 730G with the same general spec minus the gaming specific additions, while the Snapdragon 665 is even more modest in its aspirations, offering a slightly less powerful Kryo 260 CPU, Adreno 610 GPU, and just 802.11ac wi-fi instead of support for 802.11ax. That said, while a lot of these features sound neat, all this remains a bit nebulous, as devices featuring the new Snapdragon 665, 730, 730G aren’t expected to become available until the mid and latter half of 2019. And as always, even though Qualcomm worked to include these abilities in its new chips, in the end, it’s still up to individual gadget makers to make use of them in consumer-ready devices.